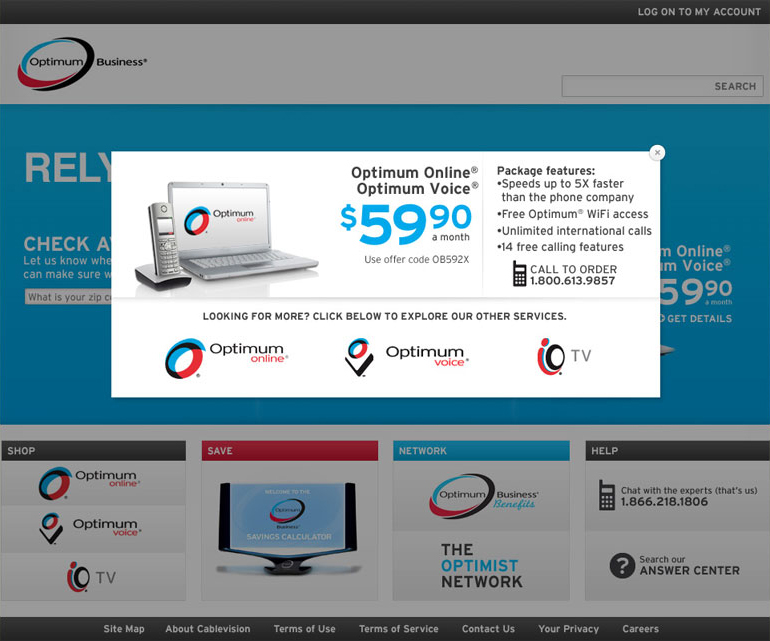 Optimum had two types of visitors to its site. 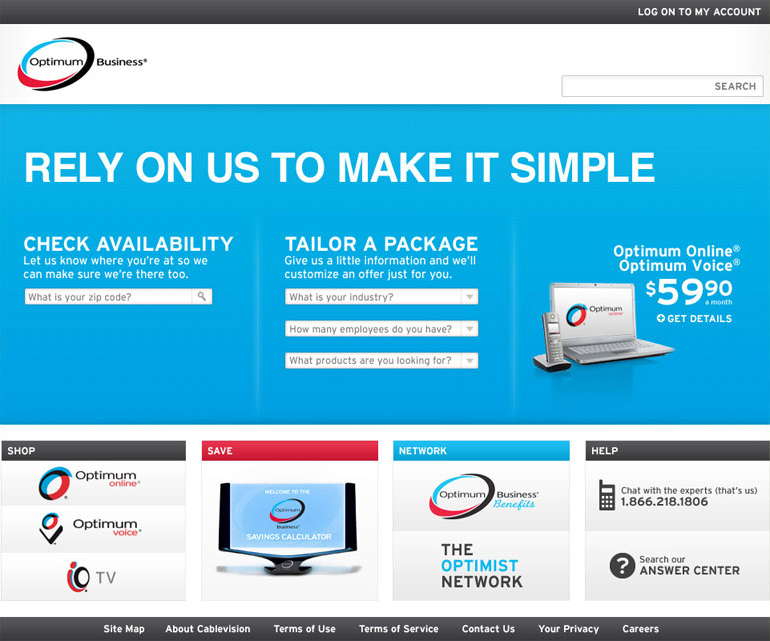 Users looking to open an account and existing customers looking to manage their account. So rather than having all the information for both users on the main page. We created a sliding main panel. By clicking the type of customer they were, the user would be served up only the information relevant to them.